UN Office for the Coordination of Humanitarian Affairs (UNOCHA) is reporting that as many as 178,000 people in the Philippines remain displaced by flooding that first struck on 16 January, 2017. Of those displaced, 20,000 are at 127 evacuation centers while most are being hosted by relatives or friends. More than 1.5 million people have been affected in total since the start of the flooding. 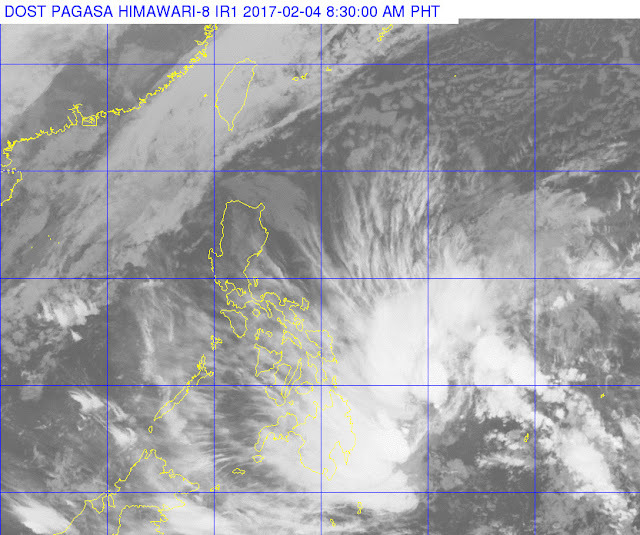 Meanwhile PAGASA has said that Tropical depression “Bising” located to the east of the country has weakened and is expected to become a low pressure area within the next 24 hours. Estimated rainfall amount is from moderate to occasionally heavy within a 300 km diameter. The city of Cagayan de Oro was seriously affected by the floods, as the heavy rain started in the early afternoon and continued late into the evening on Monday, January 16, inundating several streets and stranding many commuters. Hundreds of students were trapped at the University of Science and Technology of Southern Philippines (USTP) due to the floodwaters without any food or water. With most of the campus flooded, students were forced to head to the upper floors of the school's buildings. Shopping malls along Claro M. Recto Avenue were hit by the floodwaters as well; Limketkai Center was rendered completely impassable. One mall's basement parking area was filled with water, while another mall near Bitan-ag Creek was also flooded, despite the area already being elevated. As a result of the heavy rain in Cagayan de Oro, parts of Camaman-an, Patag, Carmen, and a number of urban barangays were swamped by the deluge. Two landslides were reported in the city; one on Masterson Avenue near Pryce Plaza Hotel, and in Paglaum Village, Camaman-an. The City Disaster Risk Reduction and Management Department (CDRRMD) said that a rain gauge near the Cagayan River recorded a total of 166.2 mm, about 20 mm less than the amount of rainfall recorded in December 2011 when Tropical Storm Sendong (Washi) impacted the city. However, the two-day rainfall amount was higher than that from both Tropical Depression Agaton (Lingling) and Tropical Storm Seniang (Jangmi). Numerous business establishments and schools opened their doors to people unable to return home because of the floods. This included Centrio Mall, SM City Cagayan de Oro and Limketkai Mall which remained open after hours, and Xavier University, which made its canteen, a number of classrooms and covered courts as a temporary refuge. 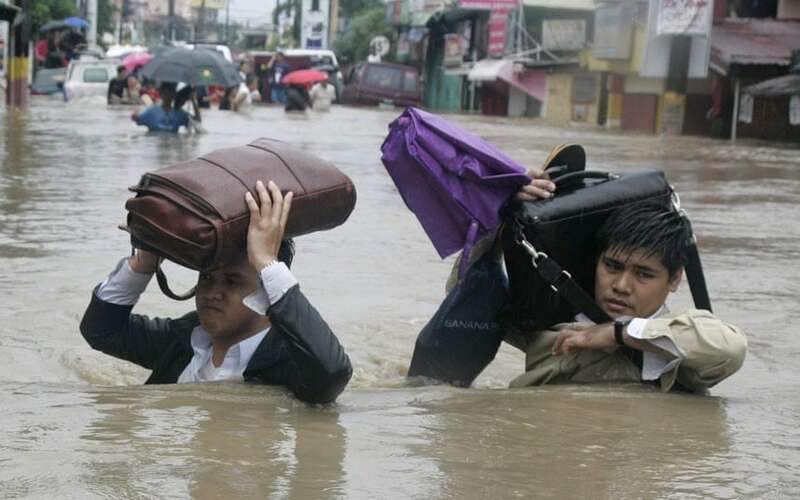 Floods also affected the provinces of Bohol, Cebu, Negros Oriental, Misamis Oriental, Lanao del Sur and Bukidnon. Landslides were also reported in several parts of Visayas and Mindanao. The local government of Cagayan de Oro declared a state of calamity over the city in the early morning of Tuesday, January 17, 2017. On Thursday, January 19, as a result of the continuous rainfall, the Cagayan de Oro City Disaster Risk Reduction and Management Office (CDRRMO) declared code yellow, asking residents to be vigilant. At least seven people died in the city due to the floods. A few days after the floods, it was reported that supplies of doxycycline, used to treat people against leptospirosis, had run out in Cagayan de Oro. A similar situation occurred in the aftermath of Tropical Storm Sendong when 24 people died because of an outbreak of leptospirosis.